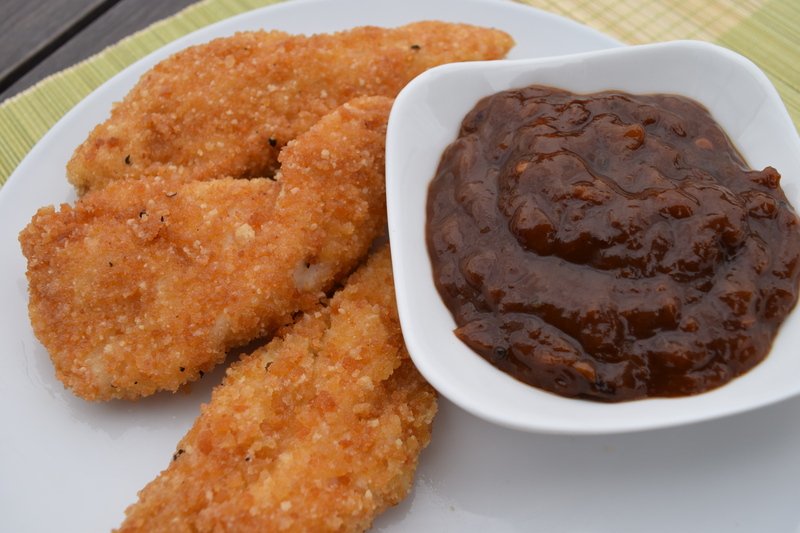 There’s something so nostalgic for me about chicken fingers and plum sauce. I perfected the chicken fingers long ago, because it’s a staple when there are kids around. I have 3 step-sons that have given my chicken fingers the stamp of approval, and they’re a staple on our dinner table. So I created a plum sauce today, and although it’s not as sweet as the conventional stuff with high fructose corn syrup (aka poison), it did the trick, and I felt good about the ingredients going into my body! 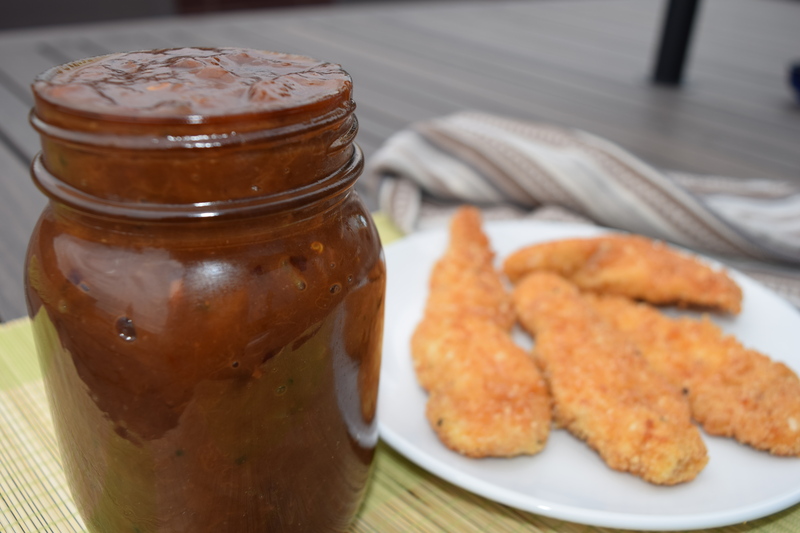 Now that you know how to make the plum sauce, I’m going to let you in on my perfected chicken finger recipe. They’re breaded with rice bread crumbs but you’d never know it! you can either bake them for 25 minutes at 375 or fry them in coconut oil – either way, they turn out amazing!